Last year marked the fifth anniversary of The Dark Knight Rises, which brought an end to the blockbuster Batman trilogy from director Christopher Nolan and star Christian Bale, but it unfortunately marked another tragic anniversary. 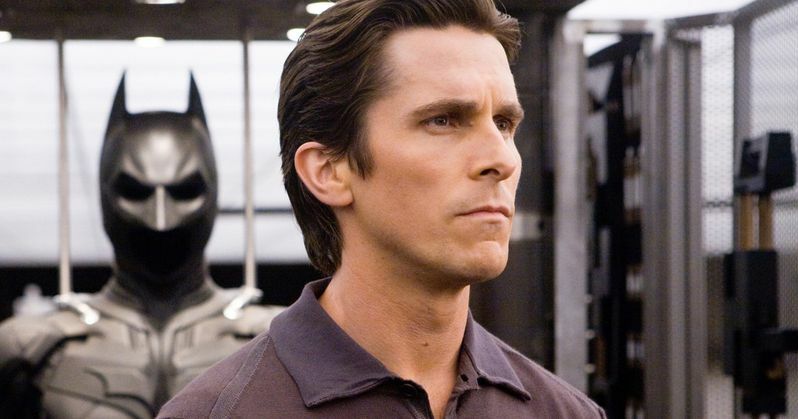 The anniversary also coincides with the Aurora, Colorado theater shooting, where James E. Holmes shot and killed 12 people and injured 70 more during a midnight screening of The Dark Knight Rises, and it's because of this that star Christian Bale still can't bring himself to watch the movie, to this day. Here's what the actor had to say in a recent interview. "Very sadly, I have not been able to watch that film since because of the whole tragedy of Aurora. I have not been able to sit down and see it without thinking of that. I'd love to be able to, one day." Unlike most perpetrators of mass shootings, James E. Holmes was apprehended alive, and taken into custody, where he faced trial for the heinous crimes he committed. James E. Holmes was found guilty, despite his attorneys' claims that he suffered a psychotic break which lead to the horrific event, which, at the time, was the worst U.S. mass shooting since the Columbine school shooting in 1999. The ordeal made headlines again in 2016, when the Cinemark movie chain, where the shooting took place, sought $700,000 from the Aurora victims to pay for their legal fees when the theater chain was deemed responsible for the shooting. The movie also made headlines for a much different reason in January 2017, when it was revealed that U.S. President Donald Trump may have plagiarized Bane dialogue from The Dark Knight Rises and used it for his Inauguration Day speech. As for the movie itself, it has always been quite controversial itself, especially in terms of its ending, although Joseph Gordon-Levitt revealed in an August 2016 interview that he thought the ending was "perfect." Needless to say, many fans didn't quite agree with him, but the movie was still a hit, regardless. The Dark Knight Rises took in $448.1 million at the domestic box office in 2012, and just over $1 billion worldwide, from a $250 million production budget. While those numbers, for both domestic and worldwide, are still better than any of the current DCEU movies, including this year's hit Wonder Woman, the final movie in Christopher Nolan's trilogy still came under the massive success of 2008's The Dark Knight, which took in $533.3 million domestic and $1 billion worldwide, from a $185 million budget. You can listen to the entire podcast with Christopher Nolan over at Happy Sad Confused.